Human Trafficking: Awareness to Action is a one-day event that features the Northern Michigan premier of the award-winning film “Break the Chain” by filmmaker Laura Swanson. The purpose of this educational conference is to bring awareness to human trafficking in Michigan. A panel discussion will follow, featuring the filmmaker, founder of the Michigan Human Trafficking Task Force, and the Grand Traverse Prosecuting Attorney. A complimentary lunch will be provided. Afternoon keynote speaker Elinor Jordan is the lead attorney for the Survivor Law Project and the Michigan Coalition to End Domestic and Sexual Violence. Lunch will be provided to all that attend. There will also be an opportunity to continue the conversation with coffee following the conference. Register to attend this free event at form.jotform.com/80357887484170. Donate to win! Donate non-perishable items at the NMC Bookstore between February 19 and March 2, and be entered into a drawing for a $50 gift card to the NMC Bookstore! Every item donated enters your name… enter five items, get your name in the drawing five times! 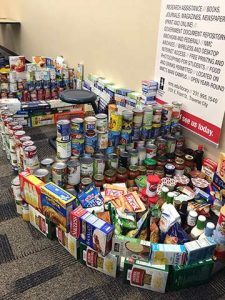 All donated items will be given to the NMC Food Pantry, which directly assists students in need. Need something fresh for your wardrobe to get you through the winter? 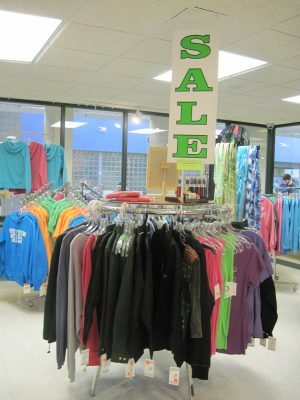 Check out the sales in the NMC Bookstore! Sales end March 2. Sign up for NMC Now! Use the promotion request form at nmc.edu/promo to seek promotion of your NMC-related announcement, program or event.